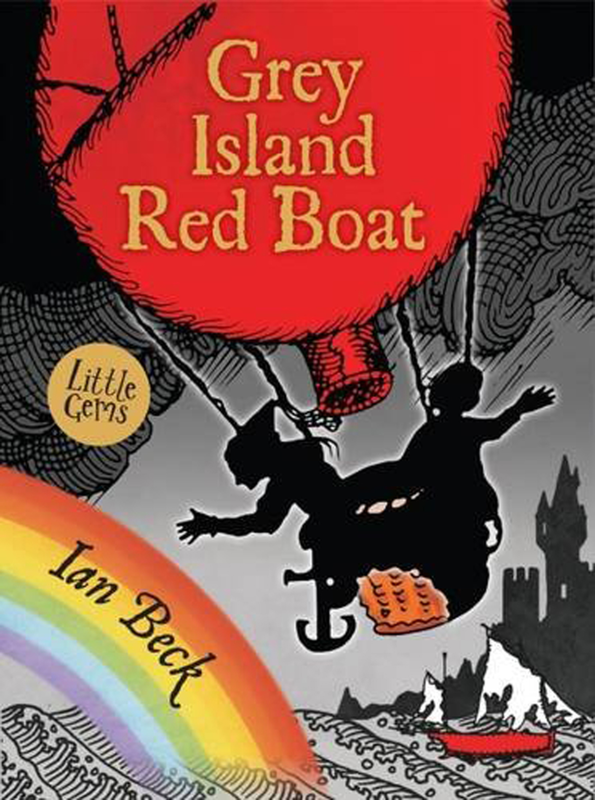 ‘Grey Island Red Boat’ by Ian Beck is a masterpiece in modern storytelling yet manages to feel like a classic, traditional fairytale. 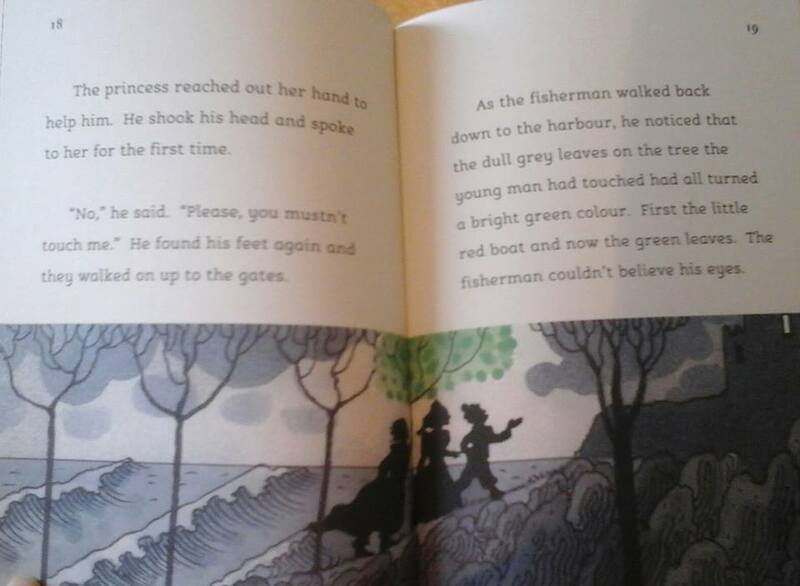 Stunningly illustrated throughout with beautiful silhouettes set against the dark grey backgrounds which evoke a sense of sadness and disconcertment as we open the story. 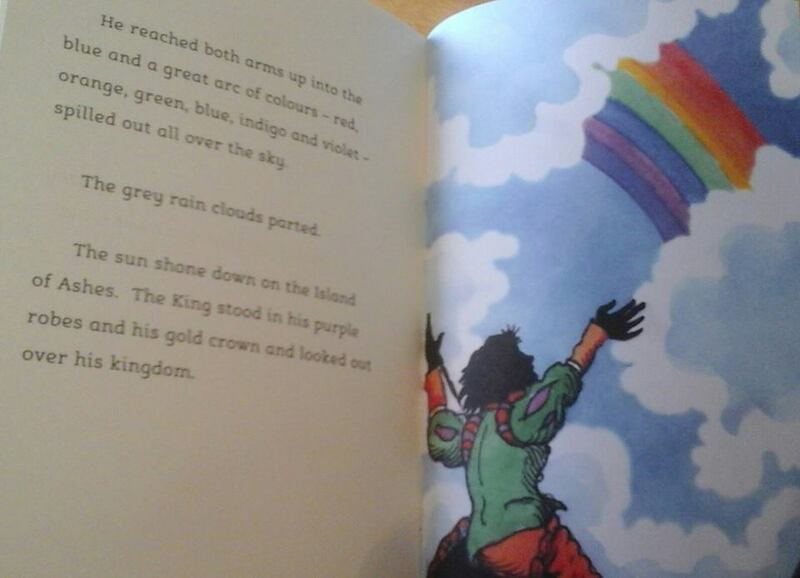 The wondrous colours which start to seep into the story create a powerful reaction in the reader as they transform the lives of the people living this grey existence. 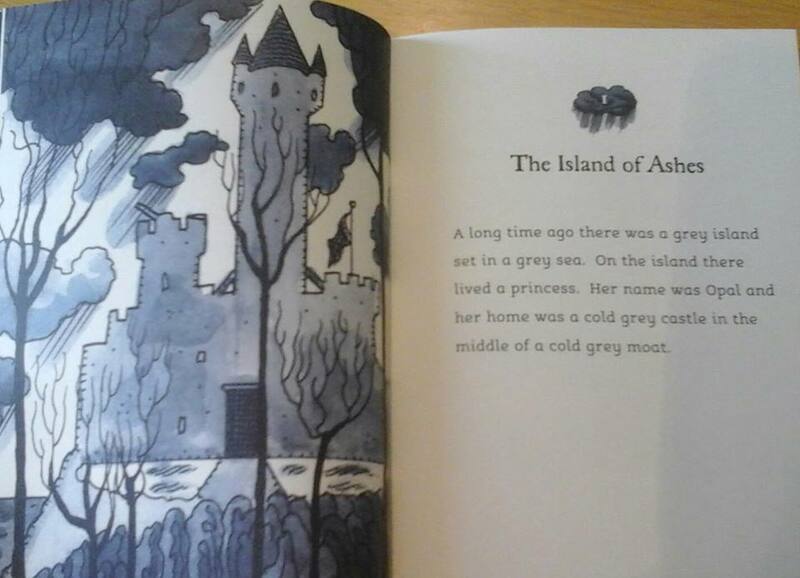 Princess Opal lives a lonely life on the Island of Ashes which is grey. The sky, the sea, the land, the castle everything is grey even her throne is grey. The coldness of the grey world they live in feels like a mist surrounding the people and you can feel their misery as they exist in this world without colour. Opal knows something is missing and she wishes her life was different, but it all changes when one fateful day a battered boat is found adrift at sea and Wendell Lightfoot is washed up ashore. Wendell believes himself cursed, whatever he touches is filled with light and colour, bringing joy and happiness to the people of the island. The King is instantly suspicious of this magic and locks him in the dungeons yet Opal can’t forget the joy she felt at seeing colours and visits him in secret. Will the Princess and Wendell find their happy ever after? This book is a joyous tale which weaved a spell over me just like the colours do to everyone who sees them throughout the book. It is an enchanting, delightful story and Ian’s divine illustrations enhance the experience as they manage to totally change the atmosphere as the story unfolds. It would be perfect to share with a younger child as a bedtime story or for newly confident readers to enjoy independently. The quality of the production is superb and I love the activities hidden under the book flaps nestling against the cloudy endpapers. Every school should have Little Gems books they manage to bring together the very best children’s authors and illustrators to create the most amazing range of books. If you would like to find out more about Little Gems you can read my blog here. To find out more about Ian Beck you can visit his website here. Ian is the author of another gorgeous Little Gems book ‘First Third Wish’ which is glorious and very popular in my school library. Thank you to Barrington Stoke for sending me a copy of this book. This entry was posted in Uncategorized on March 29, 2016 by bookloverjo. 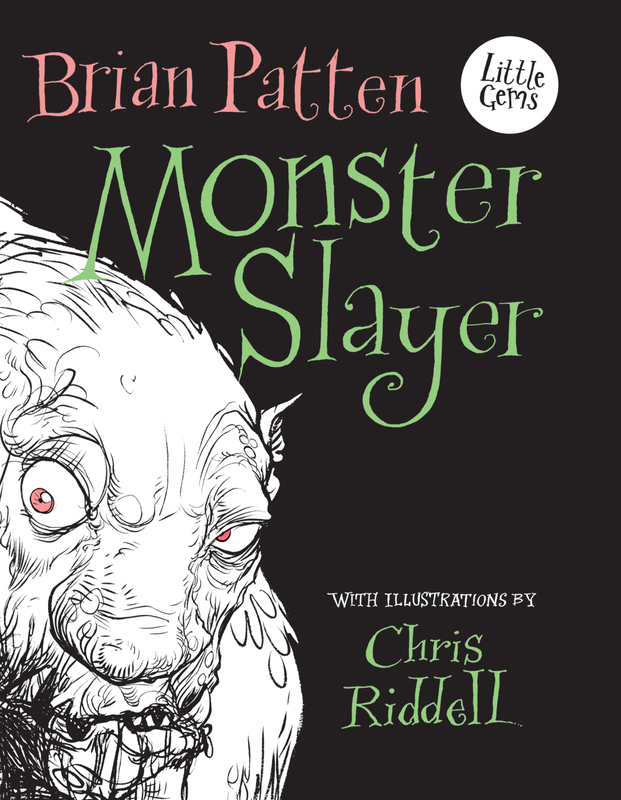 Brian Patten and Chris Riddell bring the mythical tale of Beowulf back to life in ‘Monster Slayer’ a thrilling new book in the Little Gems series from Barrington Stoke. This book is a thing of beauty and I will immediately captivate the reader. The shiny foiled Grendel on the cover contrasting against a stark black background hints at the darkness that lies inside. 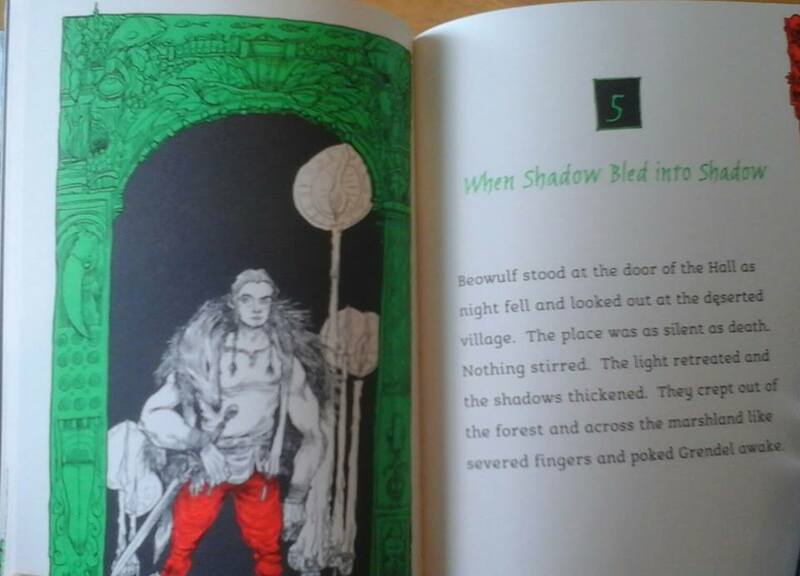 With stunning endpapers featuring the silhouette of Beowulf and the neon interiors highlighting Chris Riddell’s striking illustrations it is a visual delight. When you open the pages you are drawn into this terrible tale of good versus evil. The monster Grendel has been awoken from his centuries old sleep by the celebrations of the townsfolk. Enraged by their happiness he wreaks misery upon them, forcing them out of their homes into the shadows of the forest living like wild animals with a constant fear of death surrounding them. 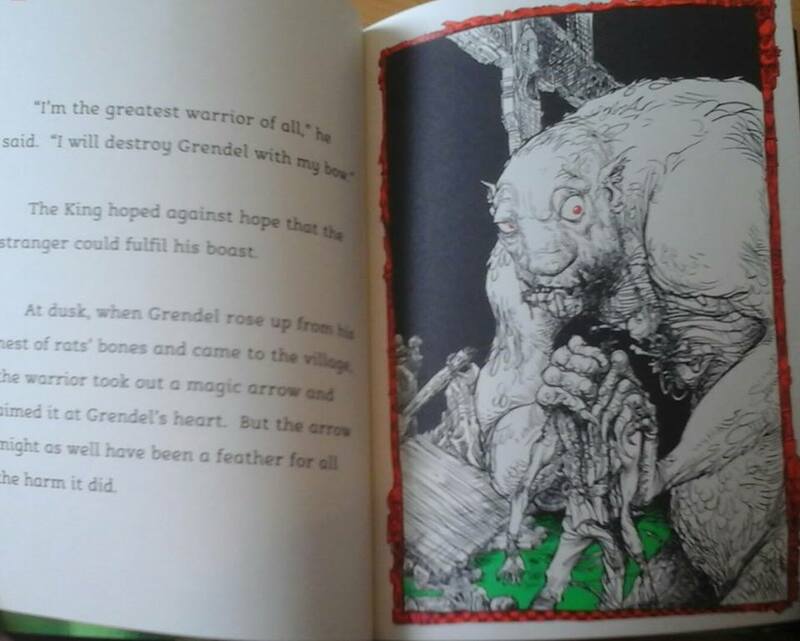 Fierce warriors come and go with magic weapons but nobody is able to defeat the monster, all who oppose Grendel are crushed and their bones line his nest. Years go by but one day a mysterious boat sails over the horizon and Beowulf arrives to face the monster. Can Beowulf do what no warrior has been able to do before him and overcome the terrible Grendel? 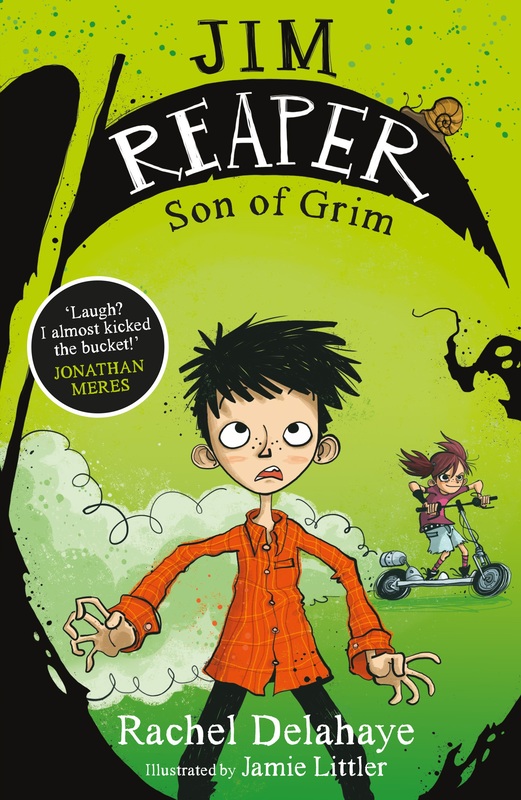 ‘Monster Slayer’ is beautifully written with rich, descriptive language conjuring up Grendell’s world of putridness and decay. As he leaves his lair and goes forth to destroy the people’s joy. “even the shadows recoiled from Grendel as he flowed through the night like poison spilt from a cup.” The vividness of the words stirs up a feeling of dread and tension in the reader and the haunting song of the monster which repeats throughout the book adds to the sense of despair. If you are looking for a book to inspire young writers then this would be a perfect start the words wrap themselves around you and you get lost in the centuries old story. Chris Riddell’s illustrations provide a dramatic accompaniment to Brian’s words capturing the terror of Grendel’s reign and the courage of the hero Beowulf in facing this deadly demon. Brilliantly dark, filled with monsters, heroes and the constant threat of danger this story will prove to be irresistible to the reader. To find out more about the Little Gems series you can read my blog here. You can read an interview with Brian Patten on Barrington Stoke’s website here or if you want a sneak peek you can read the first chapter here. To find out more about the Children’s Laureate Chris Riddell you can visit his website here. One of my biggest challenges in my book blogging life is keeping on top of my ever increasing to be read pile. However there are some books that when I finally get my hands on them immediately leap to the top and ‘Jolly Foul Play’ by Robin Stevens is one of them. I’m a huge fan of the Murder Most Unladylike series and there has been an amazing reaction from all the children who I have recommended them to in the school library. For me the winning formula is the way that Robin captures the vintage feel of the 1930s but it manages to be modern and relevant at the same time. In ‘Jolly Foul Play’ Daisy and Hazel have returned to the scene of the first murder as they start a new term at Deepdean full of optimism and excitement about becoming fourth formers. However tensions are running high as the atmosphere at school is heavily laden with the constant threat from the new head girl Elizabeth Hurst and her team of prefects. Their meanness and bullying pervades the school at all levels as they deliver their punishments and try to make everyone’s lives a misery. But things come to head when under the cover of darkness and explosions Elizabeth is discovered dead. While it’s assumed to be an unfortunate accident by the school, Daisy and Hazel are immediately suspicious and begin to draw up their list of suspects as to who may have committed such foul play. Friendships are tested, secrets are revealed and the Detective Society is struggling to stay together. Can they overcome all these hurdles and solve the case? 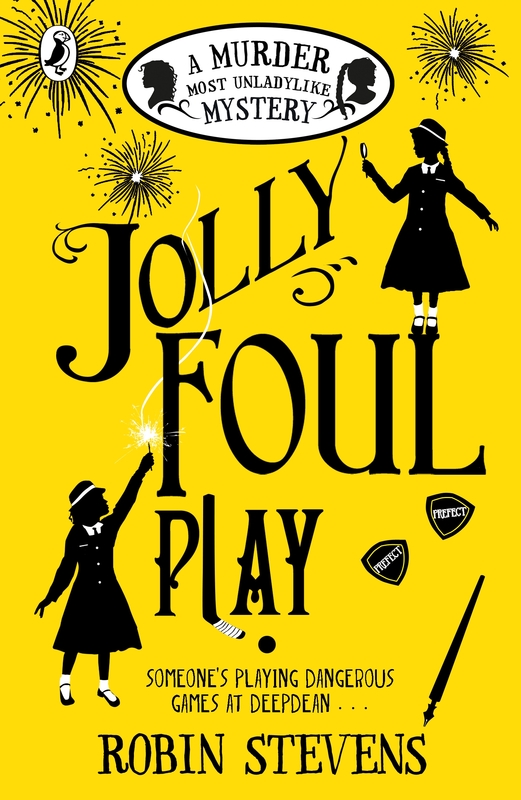 ‘Jolly Foul Play’ feels a lot darker than previous books in the series having a list of suspects drawn from the older girls in the books makes the story feel tense and more dangerous. The fall out in the relationship between Daisy and Hazel feels really disconcerting but children reading will be able to strongly identify how easily misunderstandings can have a damaging effect on friendship. It also illustrates the damaging effect and emotional impact bullies can have on individuals with cruel behaviour. However it still jammed packed with humour and bun breaks, one of my favourite lines in the book is when Hazel says, “I was so angry that I only thought about the sticky toffee pudding twice on the way out.” The story keeps you guessing right to the end and I failed miserably once again to identify the murderer. Luckily that I’m not part of the Detective Society as I would be far too distracted by the cakes to be of any use. This series is a total delight I cannot recommend it enough and I’m thrilled that we have more to come from the lovely Robin Stevens and the Murder Most Unladylike series. Robin crafts the story in such a way that you are totally compelled throughout and are swept along with all the thrills of the case. 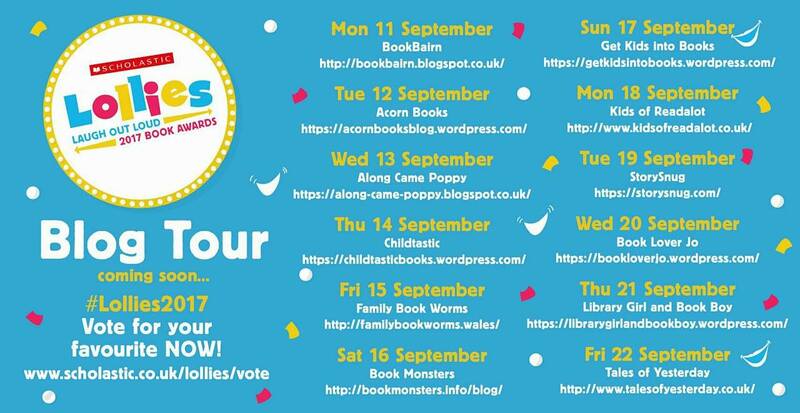 For me Daisy and Hazel feel totally real having been written with such great depth, humour and insight they are totally irresistible. So excited for the fifth book in the series due in Autumn 2016 and I’ve heard whispers that it’s a Christmas story, what can be more exciting than festive bun breaks. This entry was posted in Uncategorized on March 27, 2016 by bookloverjo. Those lovely people at Flying Eye Books have been working their magic again and produced some new stunning picture books which I am looking forward to sharing with you today. 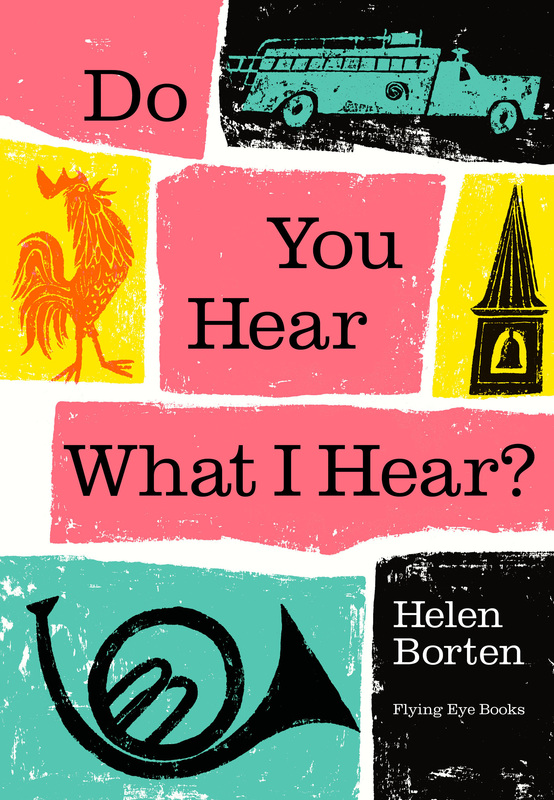 ‘Do You Hear What I Hear’ by Helen Borten is a vintage classic from the 1950s now lovingly reproduced by Flying Eye Books. It allows children to tune in with their senses to try and understand the everyday sounds that they encounter. It flows with beautiful lyrical language where the words wrap themselves around you and you get lost amongst the illustrations. Thoughtful and intuitive it help children explore sounds in different ways and the emotional effect sound can have on us. 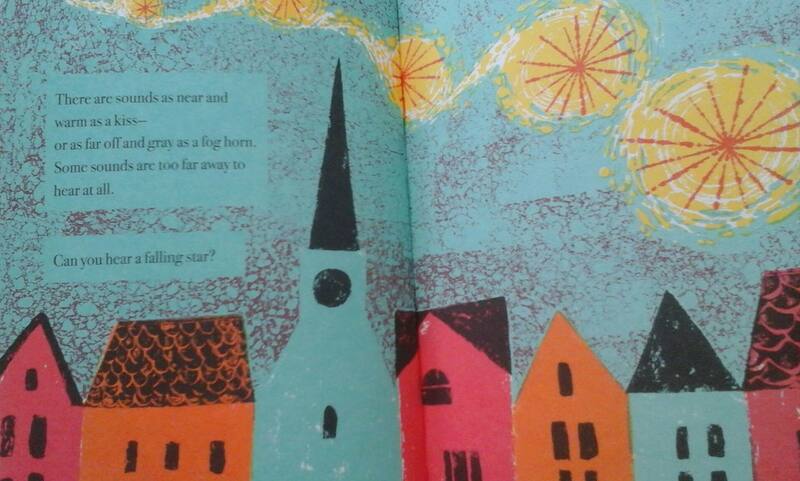 The illustrations are divine and the colour palette is exquisite, it perfectly conveys the impact noise can have on us. How it can make us feel sleepy and drowsy or bright and sparky. It has a sophisticated feel but can be accessed on so many levels and it is one of those rare books that will have a really wide appeal to children of all ages. The wonderful descriptive quality of this book gives endless opportunities for interaction as you replicate the different types of sounds and encourage children to join in with you. For me the end pages capture the heart of this book perfectly. full of sounds to listen and enjoy. This book is a joy to behold a real vintage treat. 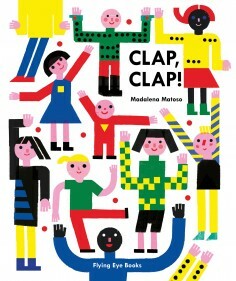 ‘Clap, Clap’ by Madalena Matoso is a marvel in interactive entertainment. 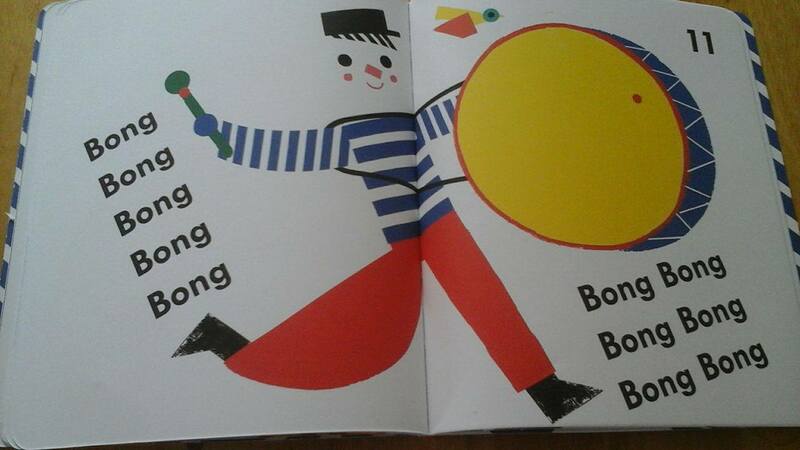 Bright and bold the illustrations leap off the page and join in with the fun. Perfect for engaging small children as you open and close the pages to create the action and conjure up the sounds. Crash the cymbals together to make a ‘doing’ sound, bash your beaters on the drum to create the ‘bong’ and tap on your triangle to hear the ‘ting’. 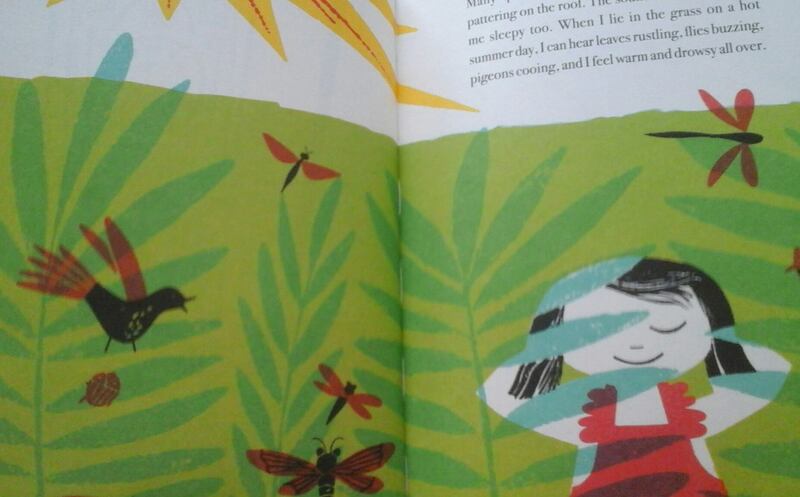 It also helps reinforce number recognition with each page having a number with equal amounts of sounds, the butterfly flaps its wings 9 times on page 9. This allows children to see the number and check their understanding by counting along when reading. Let your child use their imagination and help them develop their own individual, joyful experience. 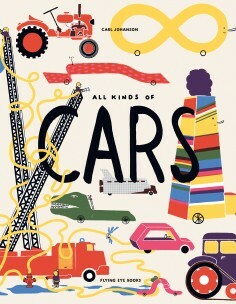 Reading ‘All Kinds of Car’ by Carl Johanson feels like delving into the depths of a child’s imagination. Carl assembles a collection of transport which includes both real and fantasy. We have marmalade and sausage cars lining up for attention next to dump trucks and diggers. Children will delight in trying to choose their most zany creation and will provide inspiration for them to devise their own wacky vehicles. The use of bright, primary colours set against the black and white backgrounds highlights the transport as the star of the show. 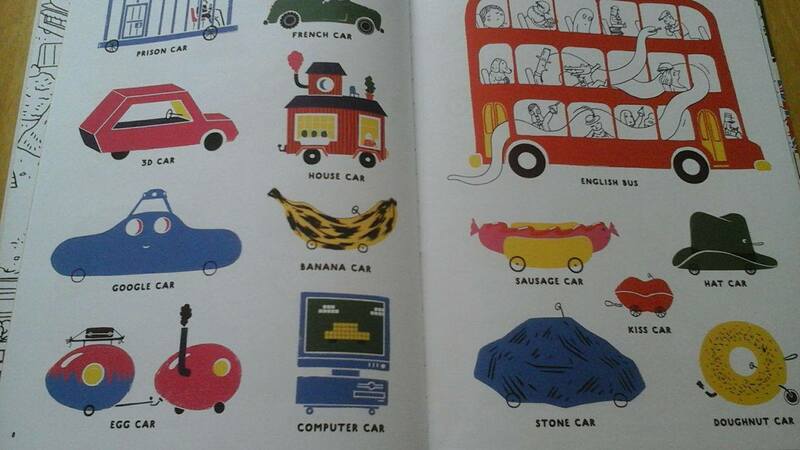 Cleverly formatting this book in the style of a catalogue makes the realistic seem possible and provides children with a valuable resource to stimulate their imagination. This will provide hours of entertainment for children as they devour the pages, colour in the glorious illustrations and laugh at the hilarious inventions. Thank you to Flying Eye Books for sending me copies of these books to review, you can buy you them here. This entry was posted in Uncategorized on March 22, 2016 by bookloverjo. I’ve got a bundle of new picture books to share with you today with some new and old friends. From naughty gremlins, Mr Men and a boy called Danny there is something to interest everyone. I was thrilled to see a new book from Adam and Charlotte Guillian authors of the fantastic George’s Amazing Adventures series. 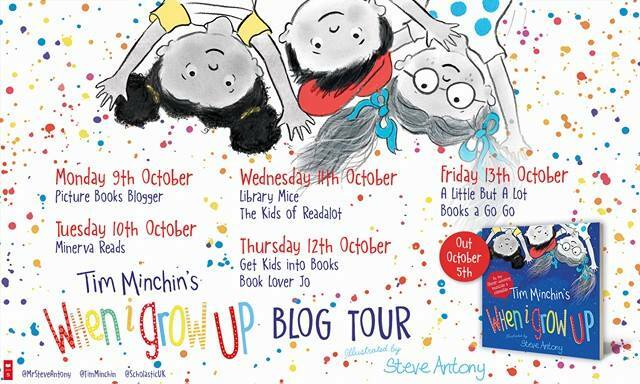 ‘Supermarket Gremlins is a hilarious romp of a tale which is guaranteed to have children laughing out loud. The naughty gremlins cause chaos around the supermarket throwing muffins, weeing on the floor, snoozing in the bread and showing you their bottom in the fruit aisle. Children will delight in opening the numerous flaps as they try to find out what mischief the gremlins will get caught up in next. 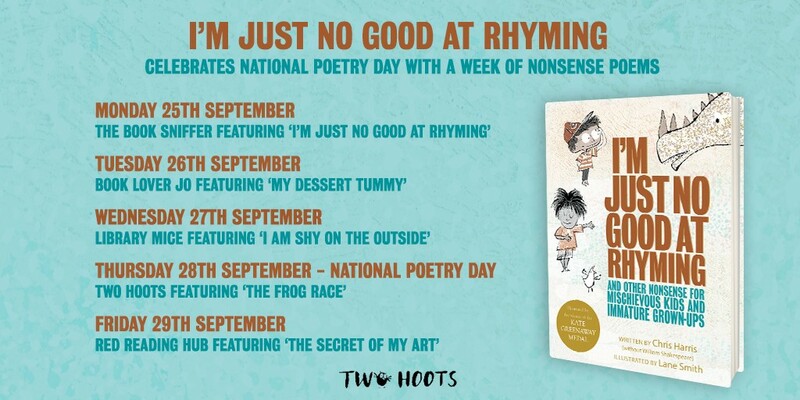 This book is perfect for reading aloud, the rhymes flow splendidly and it offers so much opportunity for engaging children as they delight in the dastardly behaviour. 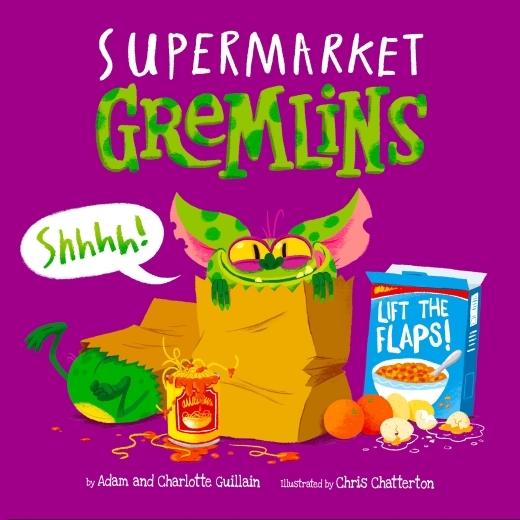 Chris Chatterton’s illustrations capture perfectly the sheer joy in the gremlins faces as they wreak havoc on the supermarkets. The colours are vibrant and fun it truly is a brilliantly, funny picture book which I loved. I am looking forward to finding out what tricks the gremlins get up to in future books. 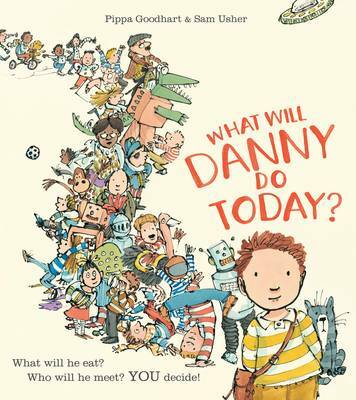 ‘What Will Danny to Today’ is a unique new picture book from Pippa Goodhart author of the brilliant ‘You Choose’. It was the cover illustrated by Sam Usher which really captured my attention when I first read this book. There is so much to see and discover it just hints at the magic that is waiting to be discovered when you open the book. On each of the pages you get to help Danny decide what he will do today, will he wear spotty, stripy or plain clothes and will he eat a crunchy, chewy or wobbly breakfast? Each page is crammed with so much delicious detail that you can spend hours poring over the pages talking about all the different things you can spot. Small children can become very adamant choosing what they do so this book is a perfect way to help them feel involved. Sam Usher’s illustrations are exquisite and full of subtle humour. My favourite being the ‘lost mug’ poster in the staffroom anyone who works in a school will appreciate the reality of no mugs. Pippa’s use of sparse language allows the child’s imagination to rule and let them be in charge of Danny’s destiny. This book is engaging and delightful a must have read. 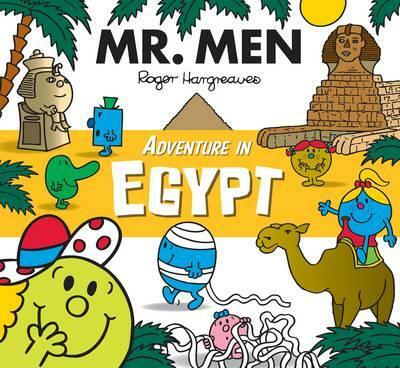 The Mr. Men are back with an exciting new series of adventures which introduce children to historical themes in a fun and humorous way. I was thrilled to see Mr. Men in a large picture book format perfect for young children to explore and learn fascinating facts. In ‘Adventure with Dinosaurs’ Little Miss Curious finds a ginormous footprint which takes us on a dinosaur hunt and we discover that the Ankylosaurus is stronger than Mr. Strong and the Apatosaurus is greedier than Mr. Greedy being able to eat a whole tree in one gulp. Little Miss Splendid goes on holiday in ‘Adventure in Egypt’ and finds herself in a world of pyramids, Pharoahs’ treasures and Mummies. She soon gets caught up in the idea of being an Egyptian Queen and manages to get them all lost inside a pyramid. We are taken on an interesting journey around Egypt helping young children understand this ancient culture in a very accessible way. Each of the book contains additional information on the back cover with ‘Did You Know’ dinosaur facts and a Hieroglyphic alphabet for children to learn how to write their own name. There is more to come from this series in July with ‘Mr. 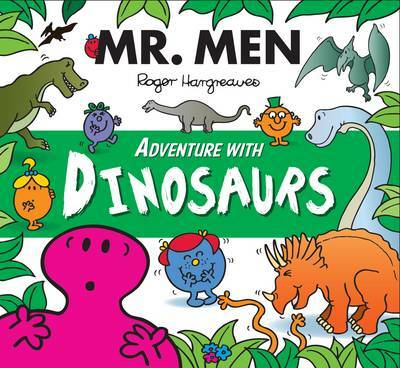 Men Adventures with Knights’ and Mr. Men Adventures with Pirates.’ A fun addition to the lovable Mr. Men books which continue to be incredibly popular and engaging for children. To win a copy of both ‘Supermarket Gremlins’ and ‘What Will Danny Do Today.’ leave me a comment telling me what you would do today if you had a choice. I would lie on a beach in the sun, reading books. Let me know what you would do! Closing date Monday 28th March, winner will be chosen at random. Thank you to Egmont for sending me copies of these books to review. 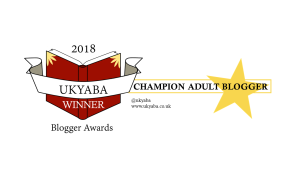 To celebrate the release of ‘Poppy’s Place’ by Katrina Charman with illustrations by Lucy Truman I have a special guest post. 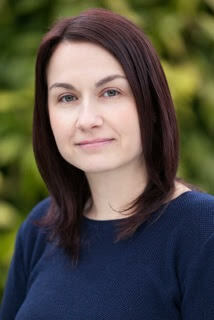 I am delighted to welcome Katrina Charman to my blog to tell us about her Top 5 cats in books. This mischievous cat will always have a special place in my heart. I grew up loving the Mog books, and reading them over and over again. It has been lovely to be able to share them with my daughters. Although, I have to admit it was almost impossible to read Goodbye Mog to my youngest daughter without bawling my eyes out. I might be cheating a little bit with this one as Gryff is a wildcat, but I absolutely loved the relationship between Gryff and Moll. 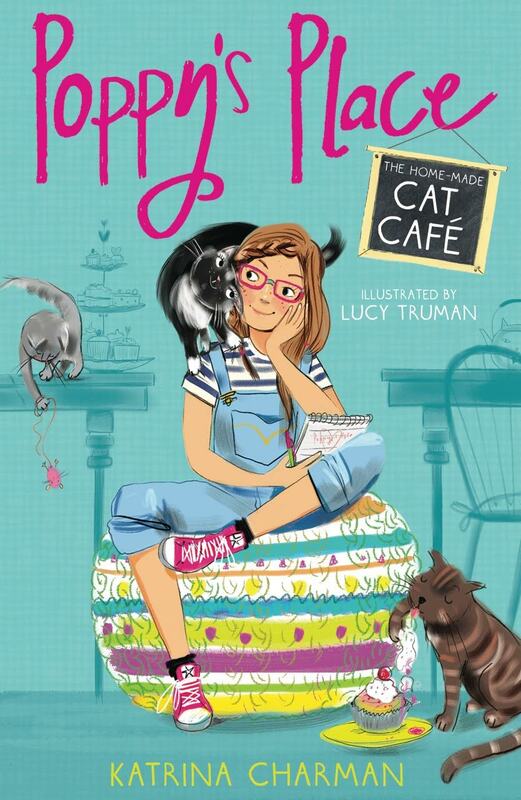 Gryff is not your average cat, but Moll is not your average girl, and the two are as wild as each other. Gryff is always there for Moll when she needs him, and they have an unbreakable bond that shows how much an animal can mean to a human. This immortal cat pops up somewhere in most of Cassandra Clare’s books, and even though he gets very few lines, he’s one of my favourite characters. I love his indignant personality and the way he interacts (as most cats often do) with an absolute indifference to some of the main characters, as though it is beneath him to even acknowledge the shadowhunters and their drama. If I didn’t include Crookshanks in this list, my daughter would never forgive me. Crookshanks is slightly underrated, with Argus Filch’s cat, Mrs Norris stealing the limelight when she’s petrified in The Chamber of Secrets. Don’t forget though, that Crookshanks never trusted Ron’s rat, Scabbers who was in fact the traitorous Peter Pettigrew (which I’m sure Crookshanks knew all along). I love anything and everything written by Dr. Seuss, but top of the list has to be the Cat in the Hat books. I’ve lost count of how many times I’ve read this book to my kids – along with Green Eggs and Ham, I could probably recite the book from memory! The cat is extremely cheeky and causes maximum mischief for the children in the book (and a lot of stress for the poor fish!) but he has their best interests at heart and shows the children how to have some much needed fun! 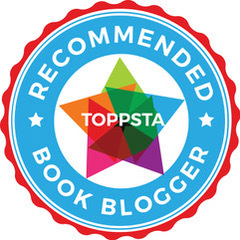 This entry was posted in Uncategorized on March 17, 2016 by bookloverjo.